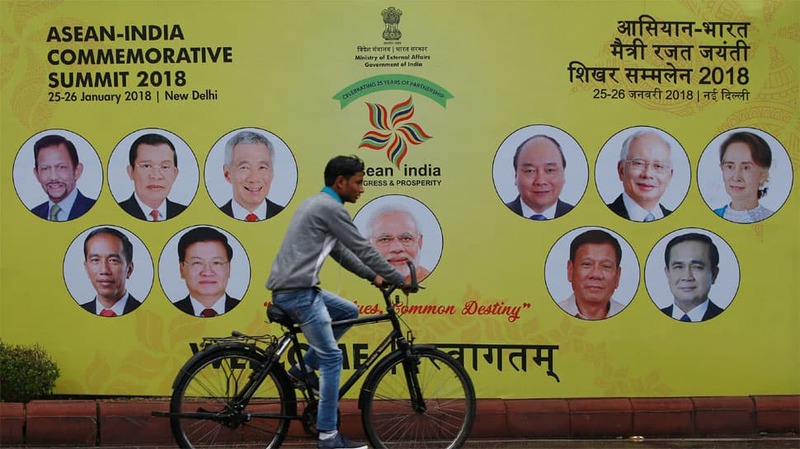 India established a dialogue partnership with ASEAN on January 28, 1992. The Association of Southeast Asian Nations (ASEAN) comprises Thailand, Vietnam, Indonesia, Malaysia, the Philippines, Singapore, Myanmar (Burma), Cambodia, Laos and Brunei. 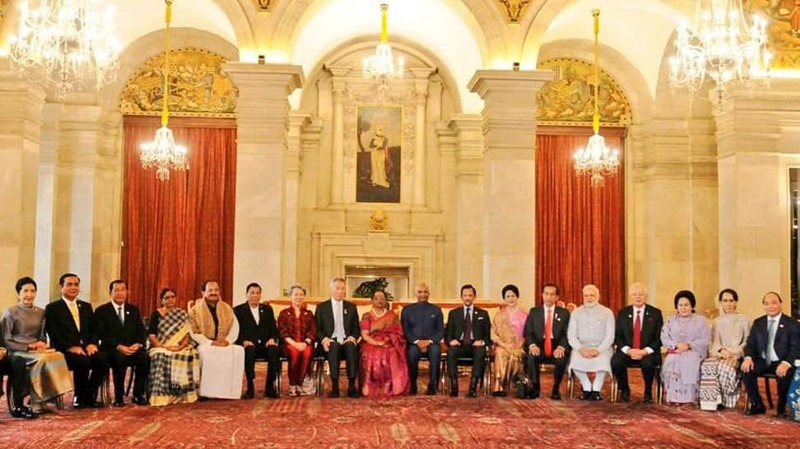 President Ramnath Kovind with ASEAN heads at Rashtrapati Bhavan. 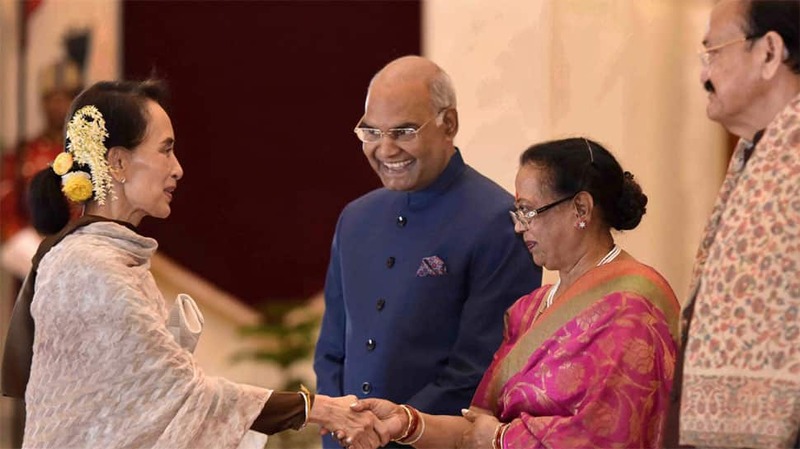 President Ramnath Kovind and his wife Savita Kovind greet Myanmar's State Counsellor Aung San Suu Kyi during a ceremonial reception of ASEAN heads at Rashtrapati Bhavan. 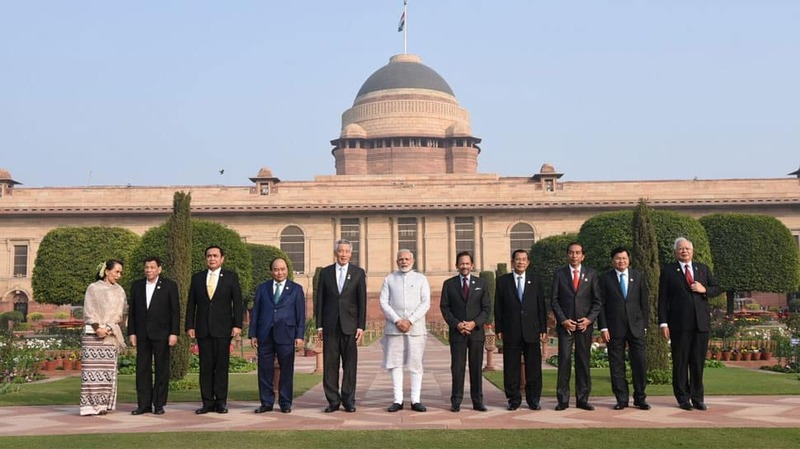 PM Modi with leaders of ASEAN countries. 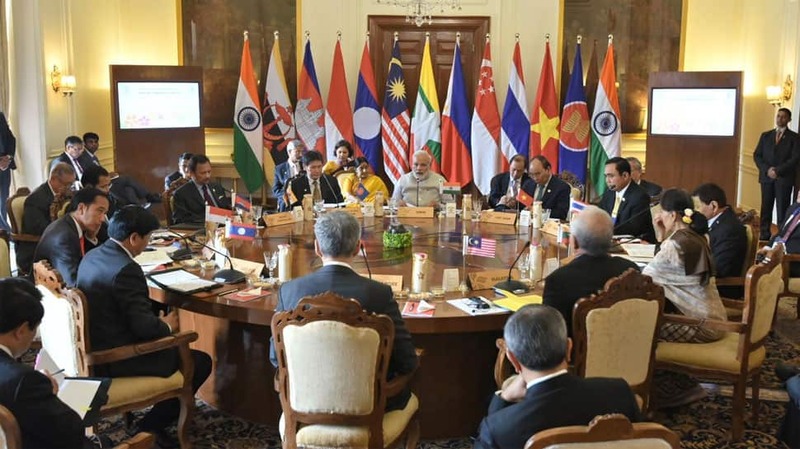 PM Modi's meeting with ASEAN heads of state/governments. 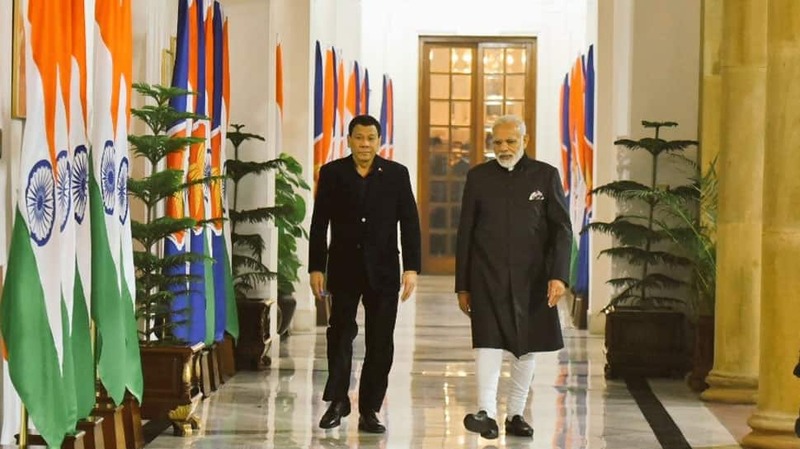 PM meets President of Philippines, Rodrigo Duterte. 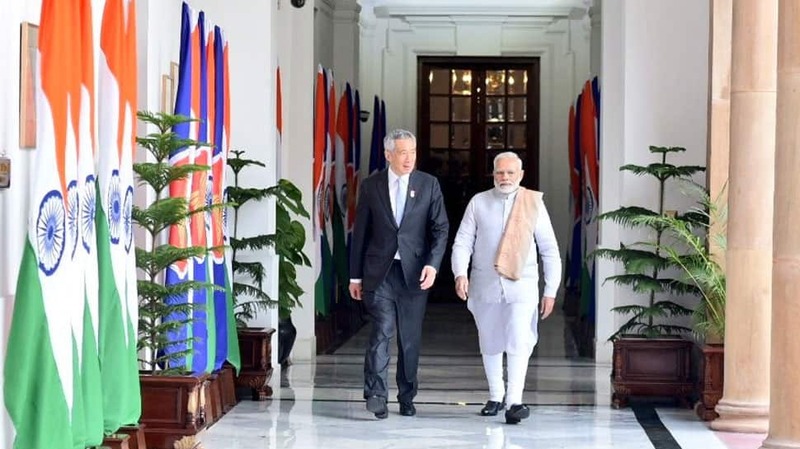 PM Modi meets Singapore PM Lee Hsien Loong. 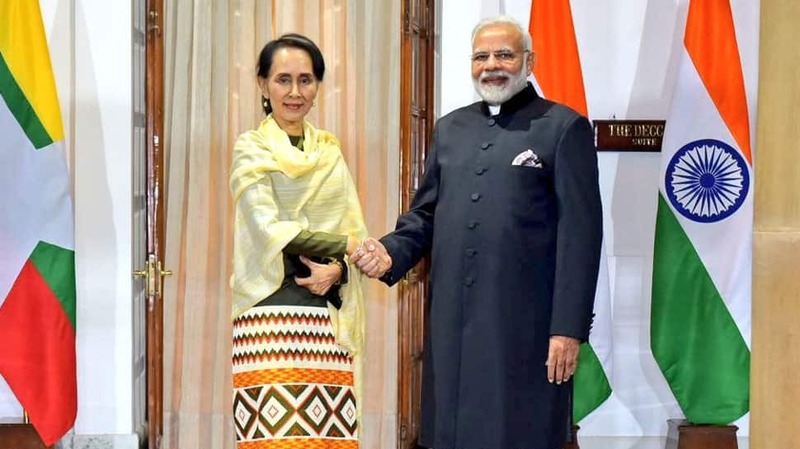 PM Narendra Modi meets State Counsellor of Myanmar, Daw Aung San Suu Kyi. 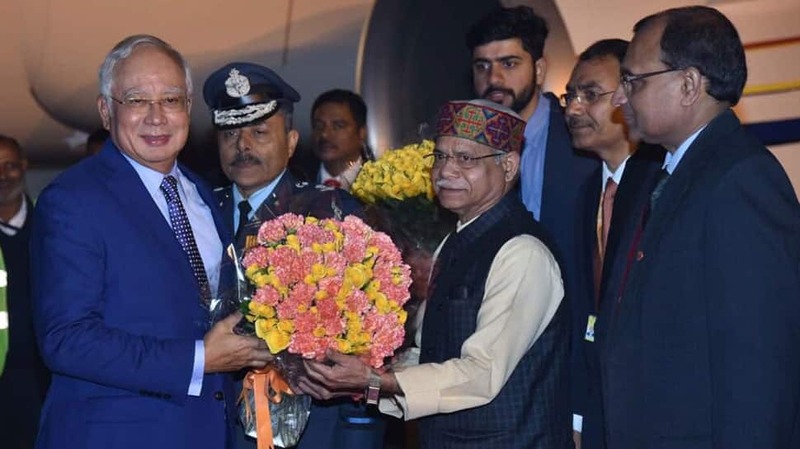 Prime Minister of Malaysia Nazib Razak received in New Delhi by Minister of State for Finance Shiv Pratap Shukla. President of Indonesia Joko Widodo received by Minister of State for Women and Child Development Virendra Kumar.